It's the ultimate drug free acne management system featuring expertly chosen, clinical grade products. 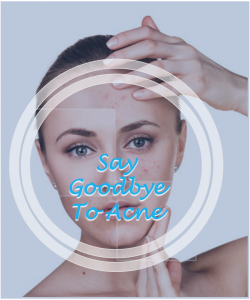 When the products are used in the correct combination in conjunction with lifestyle, diet changes, and professional acne treatments it will quickly clear up your acne problem areas. Who is the Acne Bootcamp for? Acne doesn’t discriminate against age, gender or ethnicity. If you’re struggling with acne, we can help you achieve clear healthy skin without drugs or harsh side effects. What are the benefits of the Acne Bootcamp? What skin improvements can I expect to see from the Acne Bootcamp? Treatment number depends entirely on your skin and acne type. Most clients see significant improvement within weeks and are predominantly clear between 90 and 120 days IF they adhere strictly to the prescribed home care. Are there any program constraints? If you are on any prescribed acne medication you will need to discontinue usage 14 days prior to coming in. How frequently may I schedule treatment sessions? Commitment to bi-weekly or monthly treatments is critical. May I pair the Acne Bootcamp treatments with another service? The Acne Bootcamp is a stand alone program. Once your skin is clear and you have mastered your skin challenges and triggers, additional therapies can be added to your skincare regimen. Are you ready for clear skin? Your Acne Bootcamp program will be designed at your initial consultation after a thorough skin assessment and skin sensitivity test. Based on those results we will customize a home care regimen especially for your skin type, we will take pictures to track your progress, you will receive a take home packet with all the information you will need to succeed. This includes lifestyle factors, foods, medications and ingredients that may be contributing to your acne. Please expect to pay an additional $150-170 for your first full home care regimen. Products are a requirement for joining the program. This is for new clients just starting the program. It includes a comprehensive skin assessment, which includes going over aggravating factors that may be contributing to your acne, like: foods, medication or lifestyle, followed by a skin sensitivity test that will help me develop your personalized treatment and products plan. **Expect to pay an additional $150-170 for our first full home care regimen. You are required to use my products in order to participate in this program. This is for clients enrolled in the Acne Bootcamp. We will exfoliate your skin to accelerate cell turnover, extract any current lesions and perform LED light therapy to help reduce inflammation and also to kill acne causing bacteria. This is for clients who have completed the bi-weekly program. 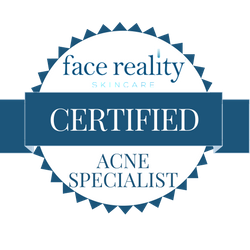 Our acne specialist is fully certified to treat all of your acne problem areas using the Acne Bootcamp techniques.